John Lewis’s name is a familiar one, especially around Christmas time. His annual Christmas advert has been released and is unsurprisingly being talked about widely on social media. Last year his ad was “Monty the Penguin” where a little boy named Sam has the goal of finding Monty a partner. The year before that was “The Bear and the Hare”. This year though his advert is titled, “Man on the Moon.”It stars a little girl named Lily who likes to spend time looking through the telescope. She spots a lonely man living in a shed on the moon and for 2 minutes we see her trying to find ways to connect with him. This is all accompanied by the beautiful voice of 19-year old Norwegian singer, Aurora who covers Oasis’s song, Half the World Away. People on Twitter on split in many different directions. There are those that love it and may even shed a tear or two while others who may be into astrophysics can’t look past the many flaws that the ad has. Whichever way you look at it, John Lewis continues to create something worth talking about. 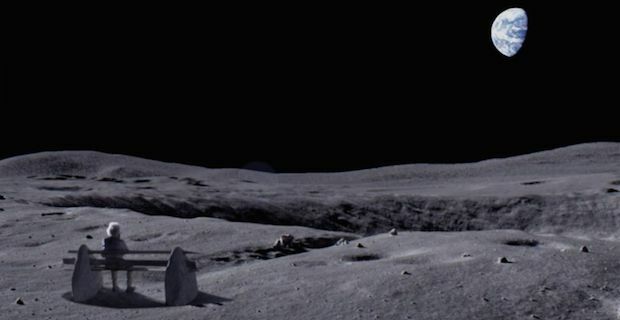 There was £1 million spent on production of the Man on the Moon which mainly went to recreating the moon in the WB Studio in Hertfordshire. 10 tonnes of bentonite, 100 kilos of pumice stone and 3 weeks of time went into creating this short story. Overall £6 million is spent on buying time slots on TV, the Internet, and press.